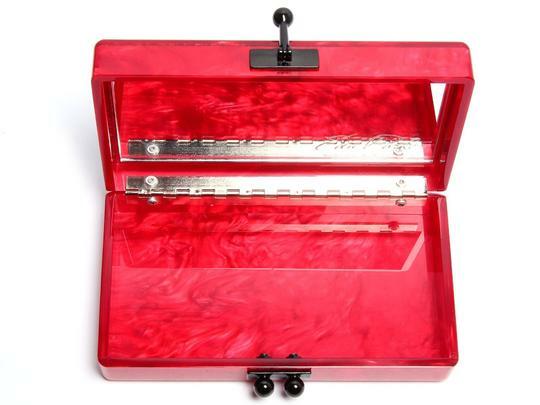 In excellent condition, there are minor scratches on the hinge and mirror. 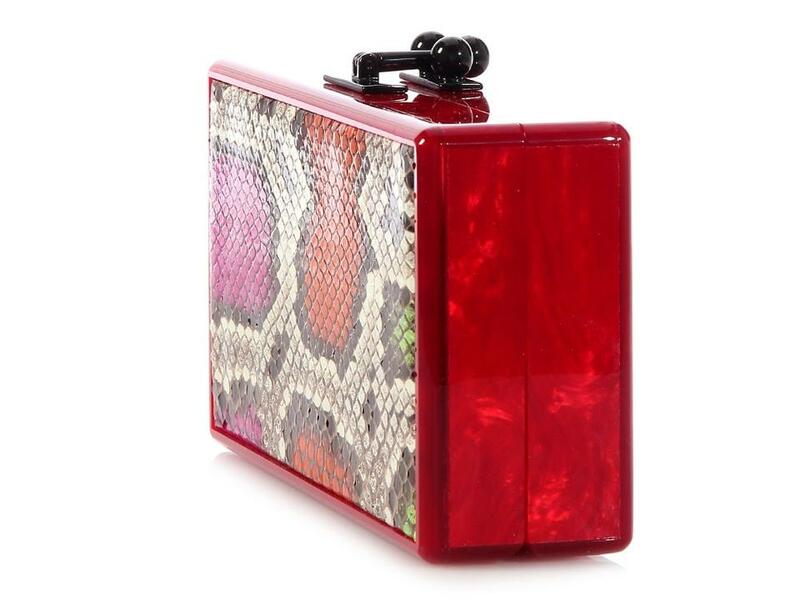 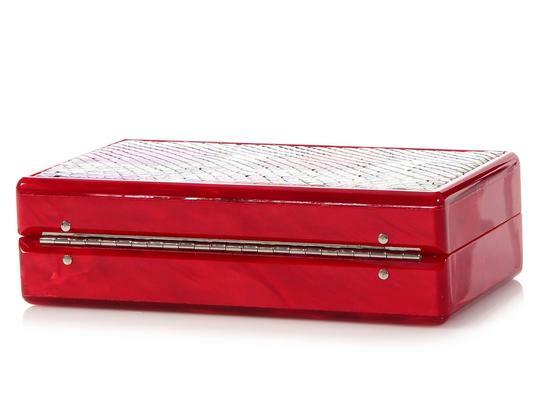 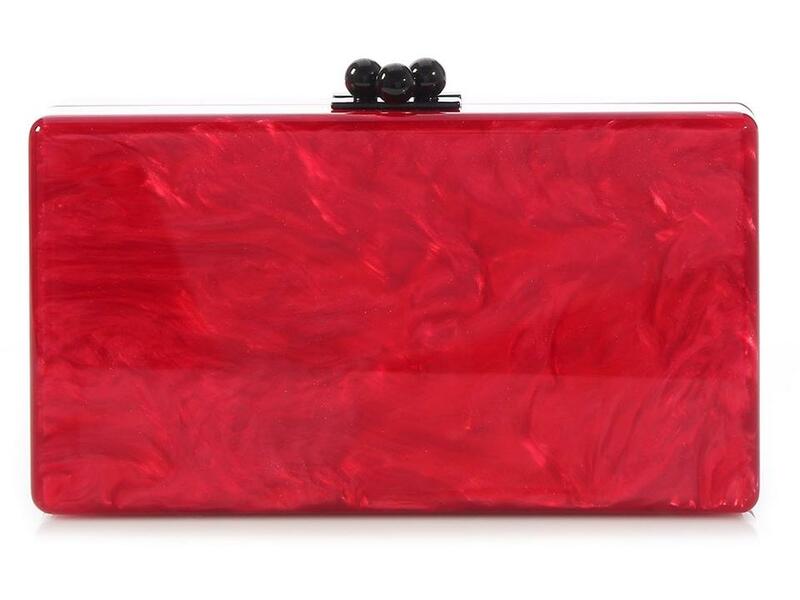 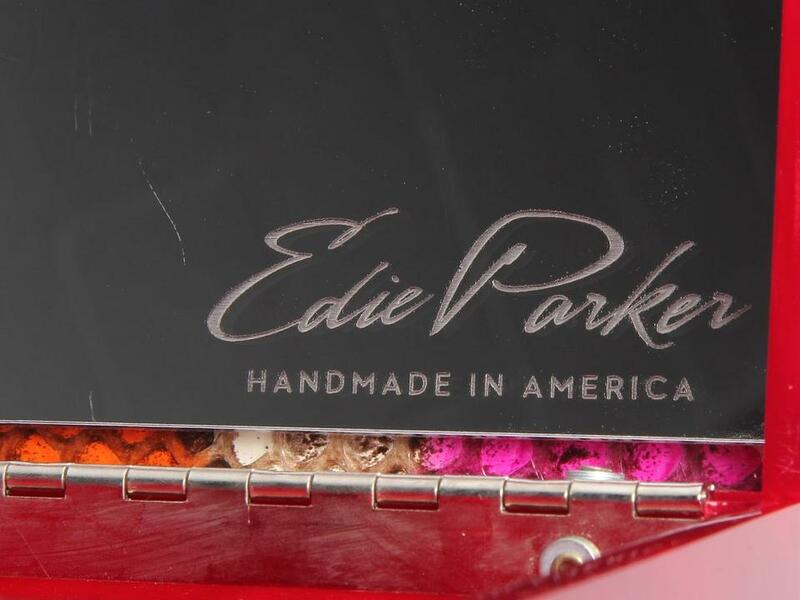 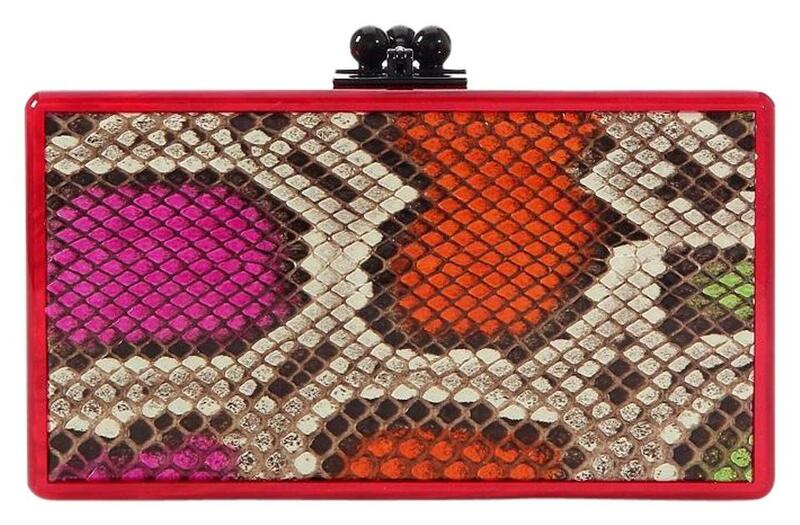 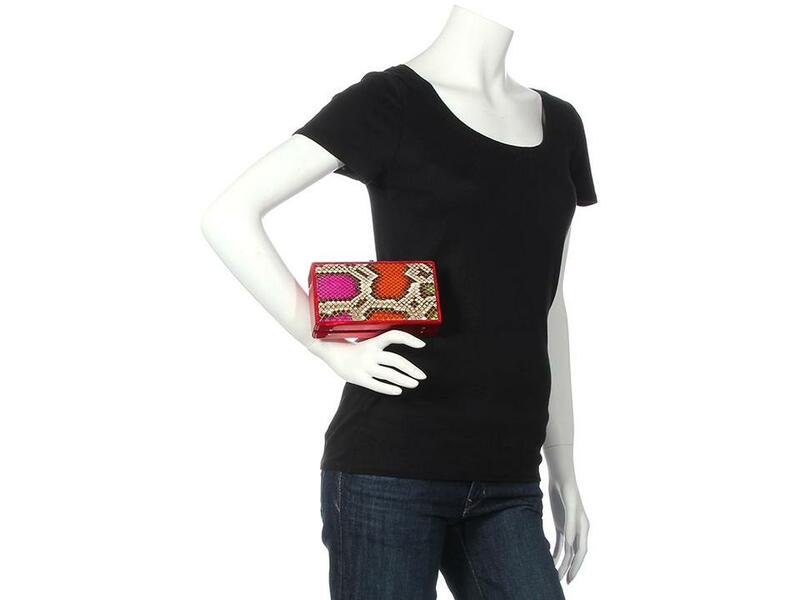 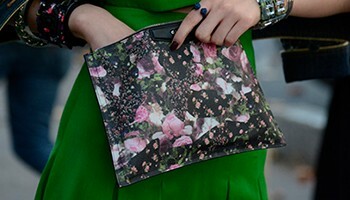 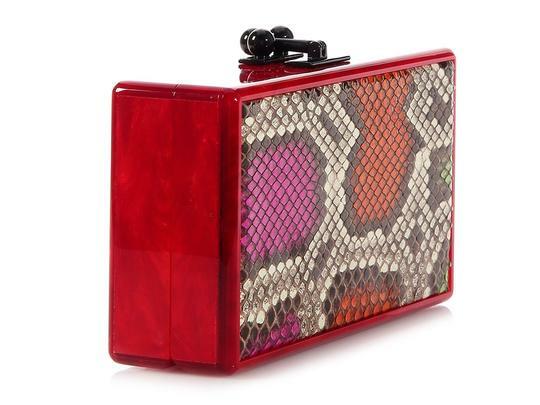 Edie Parker's Jean Panel Python Box Clutch is a fun, funky look for an evening out! 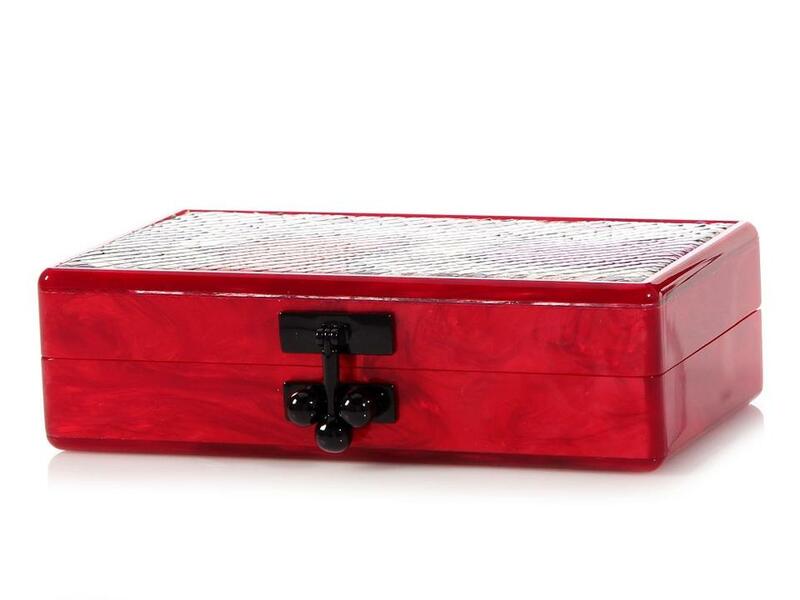 Made of a translucent red swirled pearlescent plastic, the front is black, white, orange, pink, and green python. With a silver hinge on the bottom, a black plastic clasp opens up to more red plastic with one mirrored wall. Coming with tags and info card, there are minor scratches on the hinge and mirror. 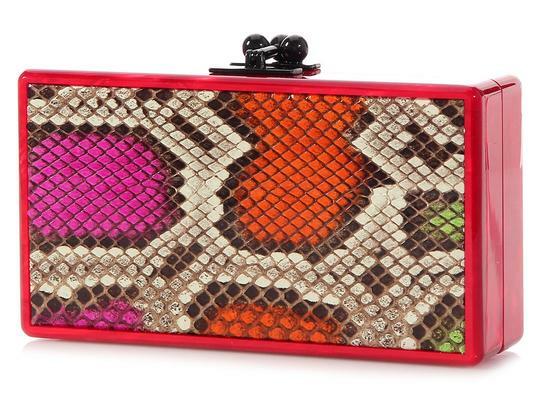 It's a colorful clutch to carry your good times!